Monday April 11, 2016 - Corruption Incorporated in another smoke and mirrors move to cover tracks of criminals in the fishing sector. What next after that Public Service Commission report? "Speaking after receiving the report, President Koroma assured that the report will be looked at closely and recommendations thereof will be implemented to the fullest. (A catchphrase when the rat intends to do nothing as witnessed in the Kelvin Lewis report on the Bo disturbances). He said the report will help to create awareness among civil servants to be looking into their activities as well as send a clear message that no one is untouchable. The president reiterated government's commitment in restructuring the Civil Service by giving it the relevant professionalism in the execution of its mandate. He pointed out that the Secretary to the President in consultation with the Chief of Staff and the Anti-Corruption Commission will work closely on the recommendations." It would be recalled that the decision to have the Public Service Commission look into the failure of the Sierra Leone component of the World Bank-funded West Africa Fisheries project came as a surprise to many watchers here who would have believed that it should have been the task of the police and the Anti Corruption Commission. 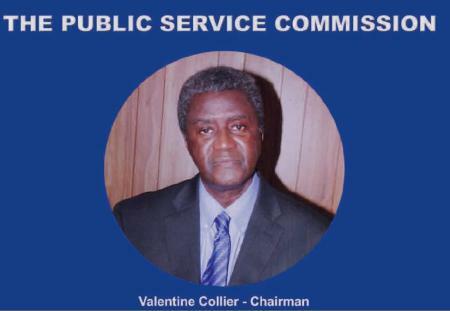 That the Public Service Commission should have been involved in such an exercise was even more intriguing if not ridiculous given the fact that this constitutionally- instituted body has never been given the respect and recognition it deserves as a recruitment agency of the public service of Sierra Leone. It is not surprising therefore to see this as part of that media report spewed out of the many sewers of corruption that is the modus operandi of State House. "Presenting the report, Chairman of the Public Service Commission Dr Max Amadu Sesay explained that the commission carried out a comprehensive investigation into the WARFP - from project inception, management and coordination, procurement processes and consultancy services, the contract award process, to the issue of bank guarantee required by MFMR, assessment of the consultant’s performance, and allegations of corruption among others. This was achieved through robust evidence gathering, he said. Dr Sesay however noted that due to lack of real evidence to corroborate most of the allegations of corruption, it was difficult for the committee to recommend more severe disciplinary action. The preponderance of the evidence submitted instead points in the direction of weak financial base of the contractor, poor financial management by the contractor and poor contractor performance and delivery." 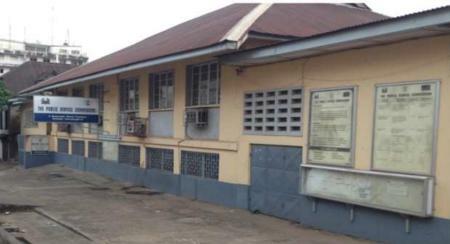 Kindly note that for 2 years, the Joint Monitoring Centre, the JMC that had been monitoring illegal fishing had not been operational due to a lack of due diligence by the government of the rat who could have well used this period to encourage the massive illegal fishing that went on within Sierra Leone's territorial waters. "Increase in illegal fishing…World Bank frowns at JMC closure" - "The World Bank Country Manager for Sierra Leone, Parminder Brar, yesterday in a press briefing raised serious concern over the present Condition of the Joint Monitoring Centre that was set up to monitor illegal fishing along the coast of Sierra Leone. It could be recalled that the World Bank started work in developing the West African Regional Fisheries Programme as a way of preventing the problem of rampant illegal fishing by Asiatic and European fishing vessels that took over from the previous industrial fisheries by factory vessels from Russia. He stated that lack of fund is responsible for the non-repairs of the radars for 2 years and that without internet connection the whole system is useless as the satellites will not be in operation. “We have a major issue that the main monitoring centre in Sierra Leone to monitor illegal fishing has basically shut down for the last 2 years,” he says. So what is the PSC report all about? In a nutshell, the PSC unearthed a rotten and crooked system that was encouraged by the government and in which a sibling of the rat was named as one of the rotten fishes. Kindly recall that it was the PSC which in 2007 decided that of all the names put forward by the government for the post of Press Attache in Sierra Leone's various missions abroad, only one was deemed qualified. What did the rat do? He overruled the decision of the PSC and instead put in his chosen praise singers including one who was barred from his post in the United Kingdom because of allegations that he had started demanding money for favours even before he stepped foot on UK soil. It is this same body, the PSC that was asked to look into the failed fisheries monitoring project. The report also throws the spotlight on why you have civil servants constructing mansions all over the city, never mind the illegality of their source of income. They use their positions to bend things their way so that non-resident contractors would be led to renting their property at foreign currency rates that are paid directly into overseas bank accounts!!! Imagine that, if you will. It is evident from a careful assessment of the execution of the WARFP-SL project that there were different categories of personnel involved: political - Minister & Deputy Minister; Ministry officials – civil servants; and non-Ministry officials – staff in the project implementation unit (PIU) engaged by the Ministry or WB on a contract basis. As these latter staff are not appointees of GoSL, they are regarded as outside the purview of the PSC. One of them, the Procurement Specialist, was hired directly by the WB. 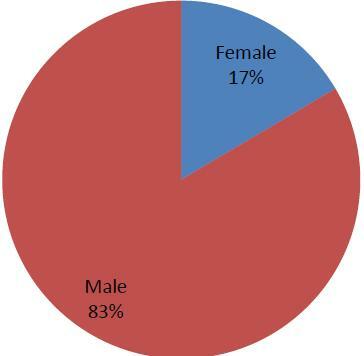 The jurisdiction of the PSC only extends to public servants and not to the other two categories. However, because officials in the other categories were involved in the execution of a project funded from public funds (loans and grants to the Government and people of Sierra Leone), they could be invited as witnesses to the Inquiry. However, even if they did attend, the PSC has no powers to exercise disciplinary control over them if they were found guilty of any misconduct. Moreover, the PSC has no powers to compel them to appear before its Disciplinary Committee if they refused to do so voluntarily. The same applies to officers of RCB, the Contractor and his former Executive Personal Assistant. In the case of Ministry officials (Civil Servants), the remit of PSC disciplinary powers is limited to officers in active service. Unless they are guilty of a misconduct of a criminal nature, which could be referred to the ACC or Attorney General and Minister of Justice for further action, retired Civil Servants are, to all intents and purposes, beyond PSC disciplinary control. A particular difficulty was encountered in securing WB input into the process. 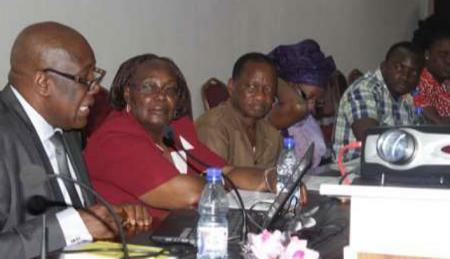 The timing of the inquiry coincided with a change in WB Country Representatives in the Sierra Leone Country Office. (iii) take remedial action on the matter of administartive deficiencies in the handling of disciplinary issues across the Civil Service; and (iv) overhaul the weak manpower state of the Ministry of Fisheries and Marine Resources...and so on and so forth until - Finally, the Committee recommends that the oversight role of Parliament be strengthened with adequate logistical support to ensure robust monitoring of especially Donor-funded projects. "Mr. Mani Koroma: The Committee believes that Mr. Mani Koroma went to Dee’s Bazaar on the invitation (by phone) of Mr Sheku Sei, even though he (Mr Koroma) denied the claim. As Permanent Secretary and Administrative head, the Committee found it rather incompatible with his status and personality to accede to a request to visit a social venue at such snap notice and on the invitation of a junior colleague. An eye witness, in the person of Mr. Tamba Saquee, confirmed Mr. Koroma’s presence at the Dee’s meeting and the contents of the recording. Mr. Koroma denies ever receiving US$10,000 as alleged by Shaun." Another section of the report has this - it is about allegations of corruption by somebody called Shaun who had been given a World Bank contract and who claims he was being squeezed for money by ministry officials. The report also highlights the problems associated with the award of contracts, manipulations and why civil servants are quick to get their teeth into such projects even while engaged in the services of the government on appointments that bar them from getting financial gain from any outside source. Allegations of corruption came almost entirely from Shaun, and consisted of two broad strands: first, that the Project failed because Ministry officials extorted money from him (Shaun), with Shaun admitting in evidence that he personally gave US$10,000 to Mr. Mani Koroma; and second, that Annex B, which contained the Contractor’s reporting obligations, was deliberately withheld from GGI as part of a grand strategy by Ministry officials to derail the Project if he (Shaun) failed to pay the requested bribes – running to the tune of US$75,000. Speaking to the Committee by phone from the US and in the presence of his Attorney (Jack Camp), Shaun alleged that the entire management of the EIA Contract was riddled with corruption from start to finish. This is also the central theme of the Timelines Report. After examining all the evidence available to it, the Committee came to the conclusion that there was indeed an attempt to extort money from Shaun. Mr. Sei’s elaborate references (in the secret recording of the Dee’s Bazaar meeting) to the several attempts he (Mr. Sei) had made to collect money from Shaun on behalf of Ministry officials is a clear indication of this and would appear to incriminate several people in the Ministry. The Committee could not confirm the exact amount involved other than the reference to about US$75,000 made in Shaun’s Timelines Report. The Committee accepts that the Dee’s Bazaar recording was authentic and when compared to the Committee’s recording of its own proceedings, there was consensus that the voices in the recording were those of Shaun, Mr Sei and Mr Mani Koroma. This was confirmed to the Committee by an eye witness, Mr. Tamba Saquee. Furthermore, and by his own admission to the Committee, Shaun parted with only US$10,000 in the end, which he (Shaun) allegedly gave to Mr. Mani Koroma but which the latter has categorically denied under oath. On the issue of allegations of corruption against Ministry officials, save for the contents of the secret recording, the Committee could not substantiate this claim due to lack of direct evidence linking anyone in the Ministry to bribery. The main thrust of the discussion at Dee’s Bazaar was the elaborate but unsuccessful efforts Mr. Sei confessed to have made on behalf of the entire Ministry to collect money from Shaun as payment to Ministry officials for having ensured that GGI won the Contract. However, references to money being given or changing hands have not been evidenced. Everyone in the Ministry has denied Shaun’s allegations and everything Mr. Sei said in relation to them. As the Committee could prove nothing, what we have are unsubstantiated allegations. The only believable evidence available to the Committee is Mr. Sei’s own claims about himself and Shaun’s admission that he paid US$10,000 to Mr. Mani Koroma as a facilitation fee." As indicated in sub-sections (i) and (ii) of Section 5.1 above, the evidence submitted to the Committee points in the direction of prima facie flouting of the procurement law, regulations and procedures as confessed by Mr. Sheku Sei. There is also the illegal giving of US$10,000 to Mr. Mani Koroma as confessed by Shaun, which the former denies. These acts appear to have criminal implications judged against Sierra Leone’s Anti-Corruption Act 2008. The Committee, therefore, recommends that the Anti-Corruption Commission accelerates and concludes its investigation into the matter and if appropriate, prosecute on behalf of the State. Any conviction for criminal offence will take precedence over any other recommendations made by this Committee in respect of Mr. Sei, Mr. Koroma and Shaun. "However the role of this Commission has been so watered down that in a report reviewing its work for 2014 had this observation - The concept and mandate of the PSC embedded in the national Constitution were intended to provide overall direction to state management of Public Service personnel, and this predates Independence in 1961. That spirit has been kept alive throughout Sierra Leone‟s post-Independence period, with only slight variations from one to the other of the country‟s successive Constitutions. However, it is generally agreed that for an unacceptable length of time the PSC, which has been in existence since 1948, failed to execute its Constitutional mandate effectively. Consequently, that mandate has suffered considerable erosion, resulting in the loss of its overall control of the Public Service. 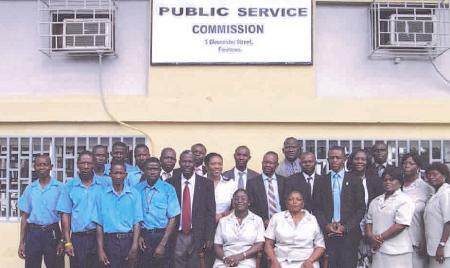 This formally commenced in 1991 with the exclusion of Public Corporations and the Police Force from PSC jurisdiction. Further erosion of its jurisdiction subsequently occurred with the enactment of the Local Government Act 2004, the Parliamentary Service Act 2007, the transformation in 2008 of the Establishment Secretary‟s Office intoHRMO(and the subsequent delegation to it by the PSC of its recruitment mandate for Grades 1-5), the Health Service Commission Act 2011 and the Teaching Service Commission Act 2011. It is the emergence in recent years of these human resource management agencies in the Public sector that has resulted in the greatest shrinkage of the operational sphere of influence of the PSC. From a Human Resource Management perspective, therefore, these developments have had the cumulative effect of institutionalizing the balkanisation of the Public Service. With the focus of its work now largely limited to regulation of the Civil Service, the PSC has essentially and unfortunately been reduced to a Civil Service Commission focusing almost exclusively on recruitment."